Zak Simmonds-Hurn Illustration: Happy New Year! 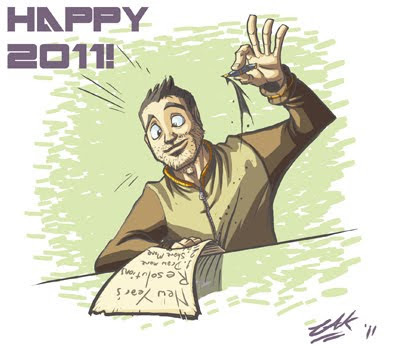 I hope everybody's 2011's off to a good start! Here's a little something to see in the new year, I've got a fair few resolutions to try my best to stick to!